Custom built from the ground up, the ScoutDNS platform is FASTER and more RELIABLE than other DNS based filter solutions. Seriously, test us yourself. Also, ScoutDNS NEVER SELLS your data to other companies while other low cost DNS solutions do. ScoutDNS offers a variety of nonprofit and commercial subscription plans. We do not offer any home or residential options. Most plans are paid monthly with credit card billing. Organizations that wish to pay with check payment may do so on an annual subscription bases by contacting us. Sign up with your name, email, and organization. We will send you your account login and setup instructions in two separate emails. At the end of 14 days, you can choose to subscribe or do nothing at all and your account will cancel automatically. 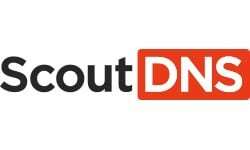 ScoutDNS is a private closed DNS network. All operator accounts retain full ownership of the data and as such we cannot share or sell usage data to any third party. No end user identifying data (internal IP, MAC), is shared upstream outside our internal network. Monthly billing contracts may cancel at any time. Enterprise plans, District level education plans, and any discounted annual plans may cancel at the end of their payed term. You can change plan levels or add additional subscribed sites at any time. Peak users refers to the maximum amount of end-users estimated to access the internet using our service at any given time on your network. We monitor subscription activity levels to ensure fair pricing for all. Accounts abusing the subscription model may be canceled.